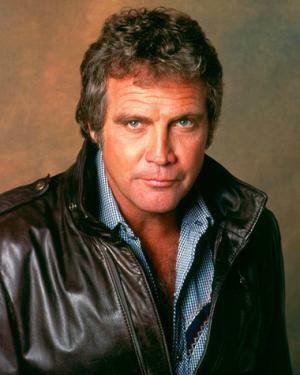 Lee Majors, to give him a birth name Harvey Lee Yeary, is a well-known name in entertainment business. It has been claimed that the overall size of Lee Majors net worth is as high as 15 million dollars. Lee Majors is probably mostly known from the television series as ‘The Big Valley’, ‘The Six Million Dollar Man’ or ‘The Fall Guy’. These series are also regarded as the main sources of Lee net worth. In addition to this, Majors has added to his net worth as voice actor. Harvey Lee Yeary was born on April 23, 1939 in Wyandotte, Michigan, U.S. As his parents died in car accidents, Harvey was raised by his uncle in Middlesboro, Kentucky. He played football in the high school and later in college but suffered an injury after which he could not continue playing. Harvey then attended an acting school for a year, chose a stage name Lee Majors and began the career as an actor. Lee Majors began his actor’s career as well as the accumulation of his net worth with the small role in a film titled “Strait-Jacket” produced and directed by William Castle. Other early roles of Majors includes appearances on the episodes of television series ‘The Alfred Hitchcock Hour’, ‘Gunsmoke’ and appearing in the main cast of television series created by A.I. Bezzerides, Louis F. Edelman ‘The Big Valley’. Lee has been starring in ‘The Big Valley’ series from 1965 to 1969. During his early acting years Majors was nicknamed blond Elvis Presley as he look very similar to the pop star. From 1971 to 1974 Majors has been acting in a legal drama series ‘Owen Marshall, Counselor at Law’ and increased his net worth as one of the main cast members. Since 1973 Lee has added a decent amount of money into his net worth account as the fictional character Steve Austin reached outstanding popularity. Five seasons of ‘The Six Million Dollar Man’ were created and a television film where Majors landed the leading role. In the 1980’s Lee Major was starring in the action adventure series ‘The Fall Guy’ created by Glen A. Larson. Due to a great demand the series lasted for five seasons and were created more than a hundred episodes. In addition to this, two DVD sets were released which has also increased Lee Major’s net worth. Since 1990, Lee appeared lots of feature films as “Out Cold” directed by The Malloys , “Big Fat Liar” directed by Shawn Levy, “The Brothers Solomon” directed by Bob Odenkirk and television series as ‘Weed’, ‘Robot Chicken’, ‘Community’ and others. Lee Majors has been married four times. His first marriage with Kathy Robinson lasted three years, from 1961 to 1964. Together they had one child. His second marriage with Farrah Fawcett lasted six years from 1973 to 1979. Lee’s third marriage with Karen Velez lasted for six years from 1988 to 1994. During that time they had three children. In 2002, Lee Majors married his present wife Faith Cross. 1 [About his recollections he had with Barbara Stanwyck]: Well, she was very tough - very tough. Off screen, she would call me Heath, and Linda Evans was Audra [our characters' names]. I remember when we finished the show, I knew to be on time. When we finished the show, we were meeting her for lunch or dinner at the Beverly Wilshire Hotel. I'm sitting there by myself, 12:30. She comes in at 12:31. Barbara sits down. I'm there. Five minutes later, here comes Linda. She looks up and says, 'Audra, you're late.' Five minutes: 'Audra, you're late.' It's like, Didn't I teach you better?" I've learned that, and I've never forgotten it. I have been on time for everything, all my life. 2 [on learning from Barbara Stanwyck] She was okay with me, took me under her wing, and taught me discipline. She was always supportive of me. The lessons I learned from Stanwyck were be on time and know your words. She made me a disciplined actor all my life. The discipline made me ten minutes early for everything. 3 [in 1967] Actually my accent isn't really Southern. It's more mountaineer or hillbilly. 4 [on Elizabeth Taylor (1967)] My greatest thrill in the three years I've been in Hollywood was the night I went to the screening of King Rat (1965) and the party after, that Elizabeth and Richard Burton gave for George Segal. Everybody was there, Julie Andrews, Sean Connery, Lana Turner; I was like a fan. There were three big booths in the restaurant, and I was sitting in the one next to where the Burtons were sitting. Later in the evening she was standing next to me. I asked her if I could kiss her on the cheek and she said he wouldn't like it. But then she changed her mind, and gave me one. 5 [on learning to ride and calf rope for The Big Valley (1965)] I hustled up about a hundred dollars and went out and bought a horse. I became friends with a great calf roper, just a little bitty guy. He was the world champion trick roper. I used to go out to his place all the time, and he taught me how to trick-rope calves. 6 [on The Big Valley (1965)] I remember when I first moved to Hollywood, how I used to sit on my front porch and watch everyone going to work. We lived right across the street from Four Star Studios. If anyone would have told me that one day I'd be starring along with Barbara Stanwyck in a television series . . . well, I still find it incredible. 7 [on his role as Heath Barkley in The Big Valley (1965)] That character was really very close to me. You know it isn't all acting. 8 [on Owen Marshall, Counselor at Law (1971)] I like action, staying in shape, and all the exercise I ever got was walking from the counsel table to the judge's bench in the courtroom on Sound Stage 27. It was basically Arthur Hill's show. I had so little to do and so much time off that the series made a great golfer out of me. 9 In westerns, I'm right at home. When they tell me to ride that horse through that scene one more time, I say "Sure, glad to," because I remember when I was the one doing all that running [as television's The Six Million Dollar Man (1974)]. 10 Even as a kid, I looked up to football coaches. All during junior high school, high school and college, they had the greatest influence on my life. And I never wanted to be anything but a coach. I never was a great All-American grid star at Eastern Kentucky Stage College, but I probably would have been a lot better if I didn't get hurt during my junior year. 11 [on meeting Rock Hudson in 1958] We talked then about possibilities of my giving it a try in Hollywood, but even if he was serious I wanted to finish college and get my degree. If something developed, then I would have an insurance policy to fall back on. 12 [on his divorce from Farrah Fawcett] It seemed to happen all of a sudden. The time just went by. We probably had a good two weeks together or maybe a weekend here or there--but that just isn't enough. 13 [on first wife Kathy] We were married June 17, 1961, in Lexington, Kentucky. I was a senior, a physical education and history major. I was going to coach football. I guess the big mistake was that we weren't looking at it realistically. We were young and we loved each other and that seemed to make everything all right. We didn't think about marriage involving anything more than loving each other. 14 [Of Barbara Stanwyck]: She was 60, when she started that show [when we did the pilot]; and that little lady [of course], she wasn't very tall. I could touch my fingers around her waist, you know? She was one fiery little actress, one sweet lady, but she rode those buggies, she drove them, by herself. She did some shows where she was underground with Charles Bronson-- trapped as a hostage, came out of there all muddied and everything, and she did some fights. She was a tough little girl. 15 [on his on- and off-screen chemistry with Barbara Stanwyck, who played Victoria Barkley] Barbara gave me my discipline. I'm always on the set before they need me, and I never leave the set, but I'm also the first to leave when they say, "That's a wrap". Barbara also taught me to learn your lines and everybody else's. I learn the whole script before I show up. It pays, because once you've got the lines in your head, you can concentrate on movement or doing things with your props. I've tried to pass that on to other actors--make sure you know your words way ahead of time. The words are 90% of it. The other 10% is just the way you dress it up. 16 [on his most favorite television series to date] The Big Valley (1965) was the most fun at the time because it was my first and I love Westerns. All the action, horseback riding, I really loved it. The Six Million Dollar Man (1974) was so hard and so boring for me. Ironically that was the most popular. It was total work. You're there [at the set] 16 to 17 hours a day. 17 [on Farrah Fawcett] All the stories that I was jealous of her career are just a lot of crap, I was always 110% behind her and proud of her. There are times when I think that perhaps I created a monster. But then, deep down, I know that's just not true. 18 I don't want to try and still be Warren Beatty or whoever. A lot of guys think they can be leading men forever. And believe me, we all can't be. 19 [on his on- and off-relationship with Farrah Fawcett] We were together actually for 12 years. And after being in the business for awhile and so long, in one year, I think we saw each other two weeks. Two weeks in one year, that's very tough. When you're separated, you hear . . . things are printed in the press, this, this and this. So you think, can that be true? No, that's not true . . . yes it is, this and this. But just the fact of not being together. Absence does not make the heart grow fonder . . . it makes you forget. 20 [on Clint Eastwood] Clint Eastwood's a good friend, too--he and I used to play in softball games together. 21 [on his days as a football player] Even when I was young, playing college football, and I injured my knee, I bounced right back. 22 I'm from Middlesboro, Kentucky, a little town on the Tennessee and Virginia border. 23 [on playing second-fiddle to other iconic actors such as Ernest Borgnine, Danny Thomas, Eddie Albert, Michael Landon, Robert Reed, Bill Bixby, James Garner, Robert Fuller, James Brolin and Buddy Ebsen, who each have had their own successful careers: I have done a series in the '60s, '70s and '80s. 24 [on the death of his ex-wife, Farrah Fawcett] She fought a tremendous battle against a terrible disease. She was an angel on earth and now an angel forever. 25 I was never into my looks. What's important to me is my health and family. 1 Credits Barbara Stanwyck as his favorite acting mentor/best friend. 2 Underwent angioplasty and heart bypass surgery in May 2003. 3 Revealed that he had a wonderful working relationship with Barbara Stanwyck on The Big Valley (1965). 5 The 1973 song "Midnight Train to Georgia" was inspired by Lee Majors and Farrah Fawcett. 6 His acting mentor was the late Barbara Stanwyck. 7 Friends with Robert Fuller, Randolph Mantooth, Linda Evans, James Brolin, Peter Breck and Richard Anderson. 9 Changed his name to Lee Majors after Joan Crawford and others in Hollywood had difficulty pronouncing his real name of Yeary. 10 He first acted with actress Lindsay Wagner, when she guest-starred on his television series, Owen Marshall, Counselor at Law (1971) in 1971. A few years later, she guest-starred on his television series, The Six Million Dollar Man (1974), originating her best-known role as The Bionic Woman (1976). They would continue to work together on-and-off for the next twenty years, and still appear together at Bionic conventions. 11 Boyfriend of Patti Chandler during the 1960s. 12 His ex-wife Farrah Fawcett died in 2009, after a long battle against cancer. 13 Before he was an actor, he worked as a park recreational director. 14 Paul Newman and James Dean are his idols. 15 He was awarded a Star on the Hollywood Walk of Fame at 6933 Hollywood Boulevard in Hollywood, California. 16 Best known by the public for his starring roles as Colonel Steve Austin on The Six Million Dollar Man (1974) and as Colt Seavers on The Fall Guy (1981). 17 He entered Indiana University on a football scholarship but was expelled two years later for his involvement in a fraternity fight. After transferring to Eastern Kentucky University, a game injury paralyzed him from the waist down for two weeks. That revealed a condition of congenital spondylolisthesis, an alignment defect of the spine, and he was forced to leave what was beginning to look like a great football career. 18 Was a star athlete at Middlesboro High School. The school named their football field Lee Majors Field in 1986 and inducted him into their Sports Hall of Fame in 1991. 19 Was one of the judges in 1981 Miss Universe pageant. 20 Graduated from Eastern Kentucky College with a degree in History and Physical Education (1962). He later received an honorary doctorate form the university in 2006. 21 In 1976, he and wife Farrah Fawcett made television history - a husband and wife each starring in separate top-rated shows. 22 His hometown is Middlesboro, Kentucky. 23 Signature exclamation as Heath Barkley in The Big Valley (1965) was "Boy, Howdy!". 24 Lee is not related to Johnny Majors, the 1956 Heisman Trophy runner-up at Tennessee who became a great college football coach at Iowa State, Pitt and Tennessee. Lee adopted Majors' name after meeting him and becoming friends. 25 Has starred concurrently on two television series at the same time: as Jess Brandon on Owen Marshall, Counselor at Law (1971) and Colonel Steve Austin on The Six Million Dollar Man (1973). 26 Landed the role of Joe Buck in Midnight Cowboy (1969) but The Big Valley (1965) was picked up for another year and was contractually obligated to pass on the role, which was then made famous by Jon Voight. 27 Suffered three separate whippings on The Big Valley (1965). In a Mexican jail in The Big Valley: Legend of a General: Part 1 (1966), shown 9-19-66. In a penal camp in The Big Valley: The Iron Box (1966), shown 11-28-66. At the hands of a religious sect in The Big Valley: Journey Into Violence (1967), shown 12-18-67. 28 Turned down the Mac Davis role in North Dallas Forty (1979) in favor of an independent production that never got off the ground. 29 Has three children with Karen Velez: daughter Nikki Majors and twin sons Dane and Trey. 30 Has one son with Kathy Robinson: Lee Majors II. Do You Believe? 2015 J.D. Hotel! 2001 TV Movie President of the U.S.A. The War Next Door 2000 TV Series Kennedy Smith Sr.
1984 Star on the Walk of Fame Walk of Fame Television At 6933 Hollywood Blvd.